There are two books still in print, which shed a lot of information of these early Bethea families. 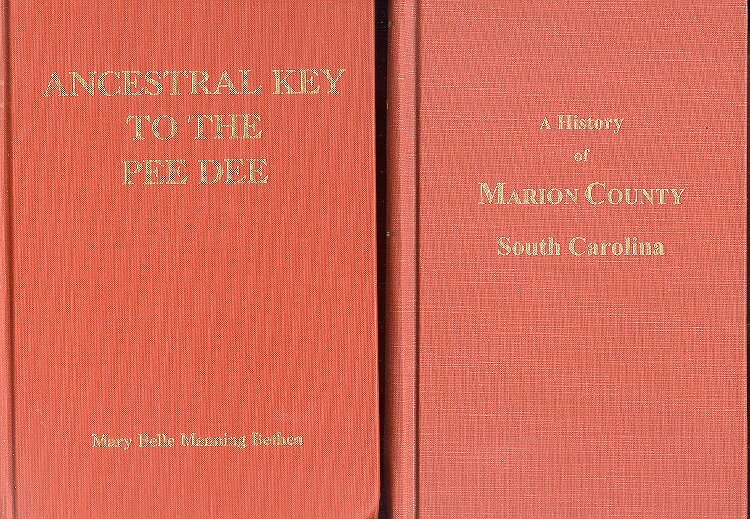 One is called the "Ancestral Key to the Pee Dee", written by Mary Belle Manning Bethea and printed by the R. L. Bryan Company of Columbia, South Carolina. It was copyrighted in 1978 and it has been said that some copies are still available from the Librarian of the Dillon County Library in Latta, South Carolina (Near Buckswamp). Library of Congress Catalog Number 78-61789 applies to this history book. The 2nd helpful Bethea History is contained in the pages of "A History of Marion County, S.C." by W.W. Sellers (from the earliest times to the present, 1901) copyright 1902-1996 by the Southern Historical Press, P.O. Box 1267, 375 West Broad Street, Greenville, S.C. 29602-1267. It may be that copies of this may be obtained direct from the publisher. My copies were obtained through a friendly third person/ Bethea cousin with vast knowledge of Bethea historical matters and I am indebted to all of my Bethea, Rogers, Manning and dozens of more family names descended from the original Bethea cousins whom have provided virtually all of the content of this website. 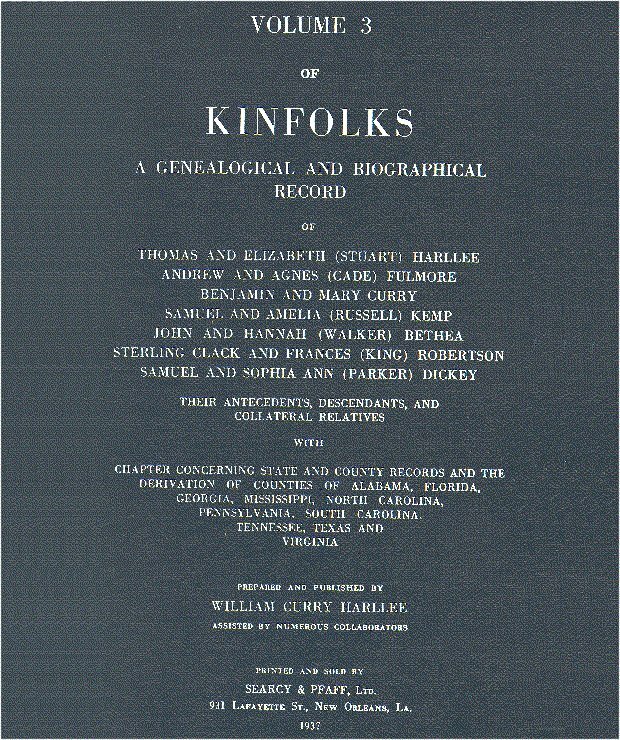 A Third book often referred to by Bethea researchers , Harllee's Kinfolks, Vol. 3 by William Curry Harllee , contains an additional wealth of regional and biographical information on the Betheas and their relatives. This volume is currently out of print.